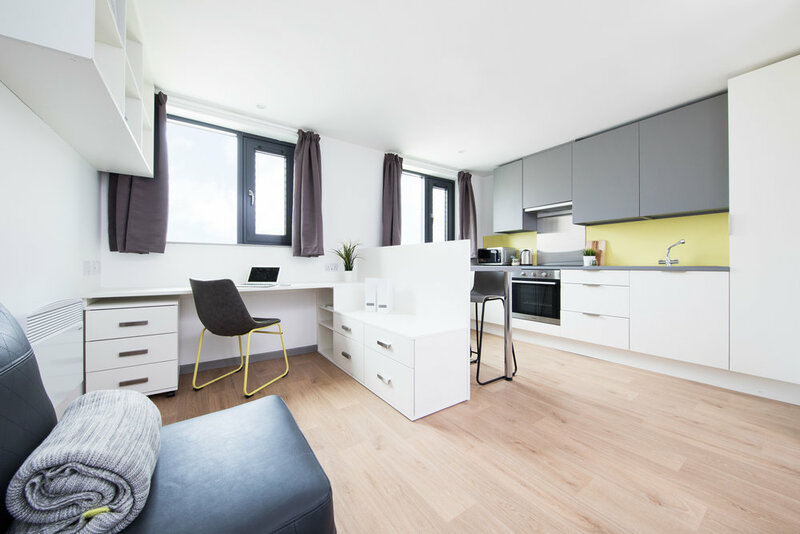 A new build student residential development comprising 598 beds, located within the Well Meadow Conservation Area, close to Sheffield city centre. St. Vincent’s Church, built in the mid-19th century, sits within the centre of the site, alongside a former Catholic Working Men’s Club. These historically significant buildings had been left vacant and derelict for over 20 years. 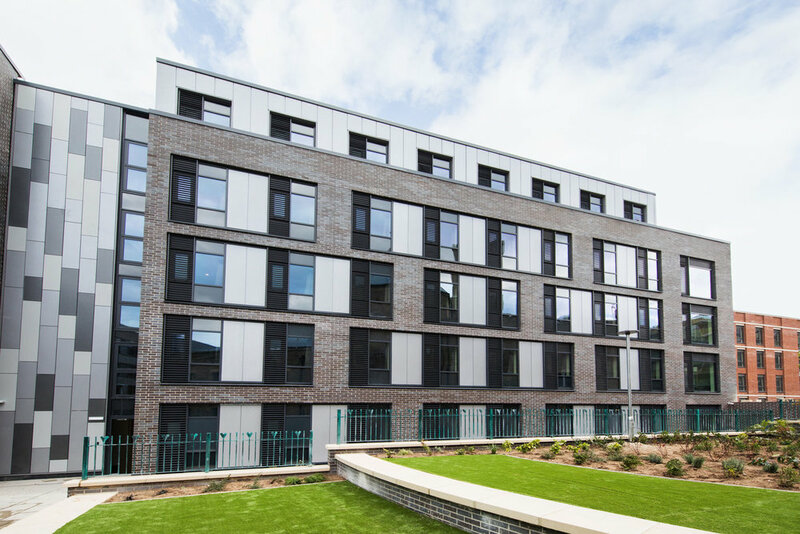 The scheme incorporates the full refurbishment of the Church for use as a student hub and the retention of the front portion of the Working Men’s Club, which is embedded into the new build structure and repurposed as accommodation. HCD were the original architects for St Vincent’s Church, and over more than a century and a half later, HCD has played a leading role in the development of the church building, from the original church design, through numerous upgrades, extensions and redecorations from 1854 through to the late 1960s. 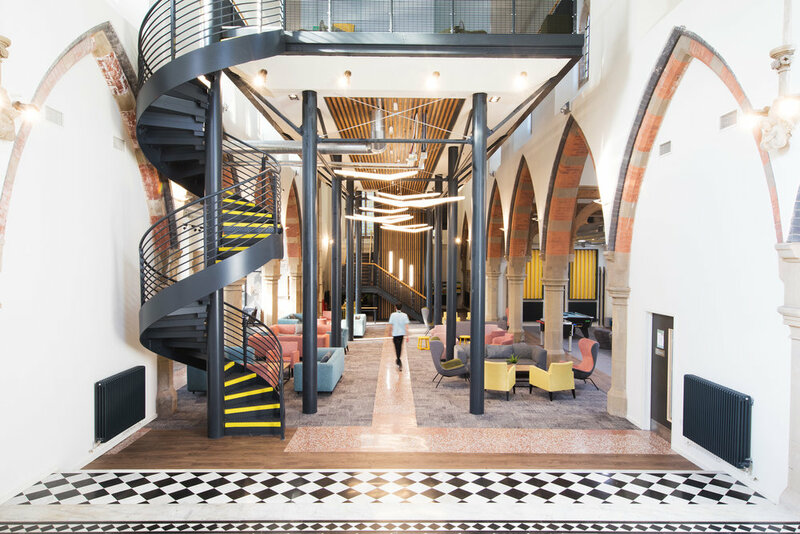 St Vincent’s Church has now been fully restored and refurbished as a communal student facility as part of the overall site proposals. 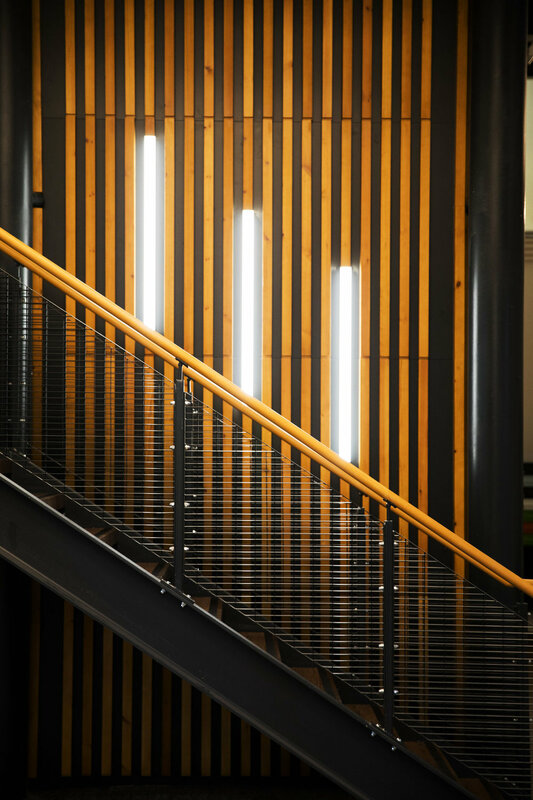 The church building now provides a host of communal spaces for students, including study and music rooms on a new mezzanine structure, private cinema, games area, shared dining/kitchen facilities as well as a quiet lounge and flexible presentation/teaching spaces. 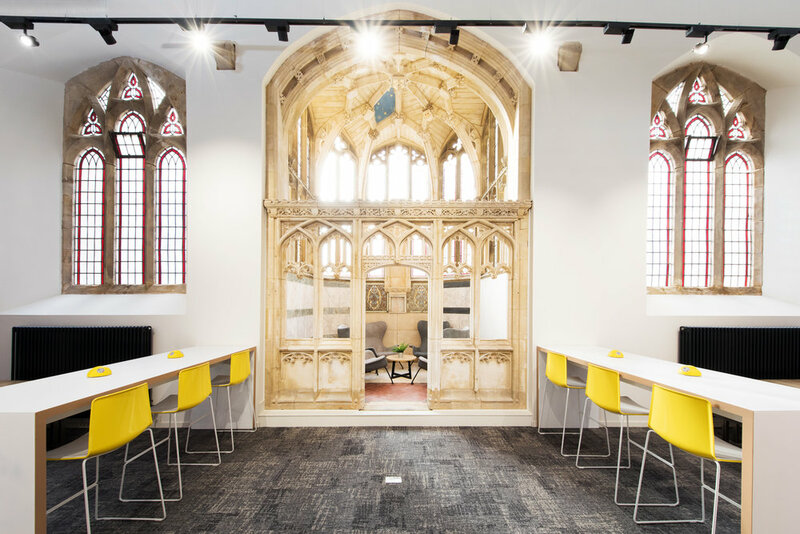 The design of the church balances old with new, aiming to preserve and enhance the original features with a modern finish and mezzanine insert. HCD’s involvement began in 1854 when funds were being raised in connection with the Duke of Norfolk for the construction of a permanent church for the local community. St Vincent’s Church was completed and dedicated in 1856. This instigated a long period of involvement in the evolution of the church building by HCD, spanning over 100 years. This included the construction of the church tower in 1864 and the tower’s extension in 1911, when a belfry stage was also constructed. Other additions were made to the building over the years. Following an air raid in December 1940 when the church was severely damaged by a parachute bomb, the practice was then commissioned to work on the repairs and renovations to celebrate the centenary of the parish in 1953. Demographic shifts eventually led to the church being declared redundant in 1996.